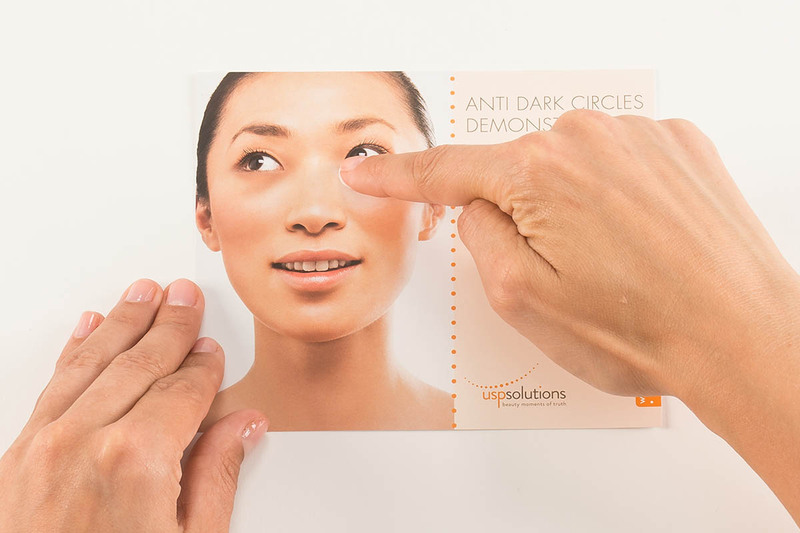 USP Solutions’ Eye Circle Demo Card is an easy-to-use and reliable tool which appeals to your consumer’s senses – enabling them to touch and feel your brand, thus emotionally engaging them. 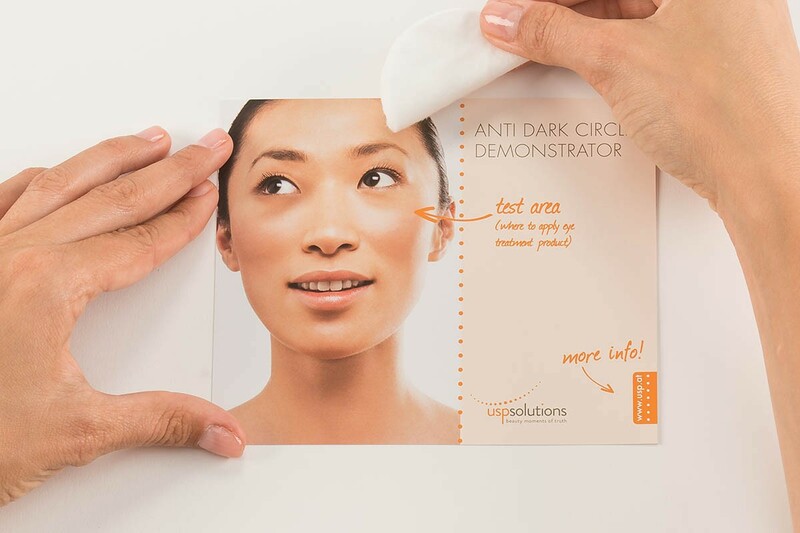 The Eye Circle Demo Technology simulates dark eye circle reduction and improvement of overall skin tone. 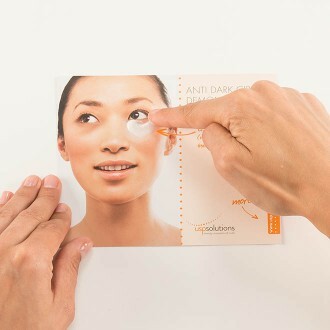 The tool demonstrates within seconds the effect that the eye treatment product may have on skin appearance. 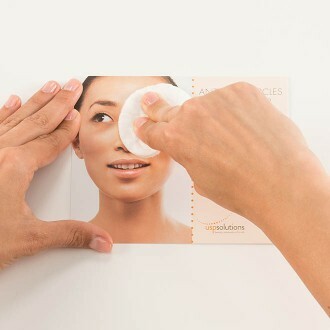 Its test area reacts to product application by visibly reducing dark circles, brightening the skin around the eyes area. When consumers get to know the effectiveness of an eye treatment product, they experience an “A-ha” moment. This emotional experience is also referred to as “Beauty Moment of Truth”. 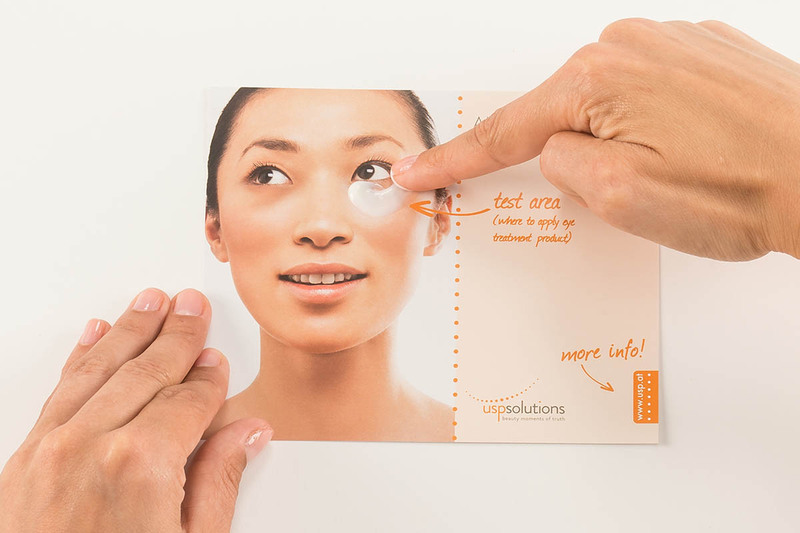 The Eye Circle Technology, therefore, creates an engaging consumer experience. It also guides them to the right product choice which is essential when it comes to brand trust and brand loyalty. The skin care market is very competitive. 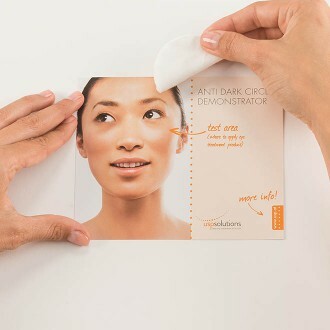 Additionally, consumers are unsure about how effective complexion correction products actually are. As Marketing Executive how do you guide consumers to the right product choice within your range? How do you get attention and raise awareness in the first place? 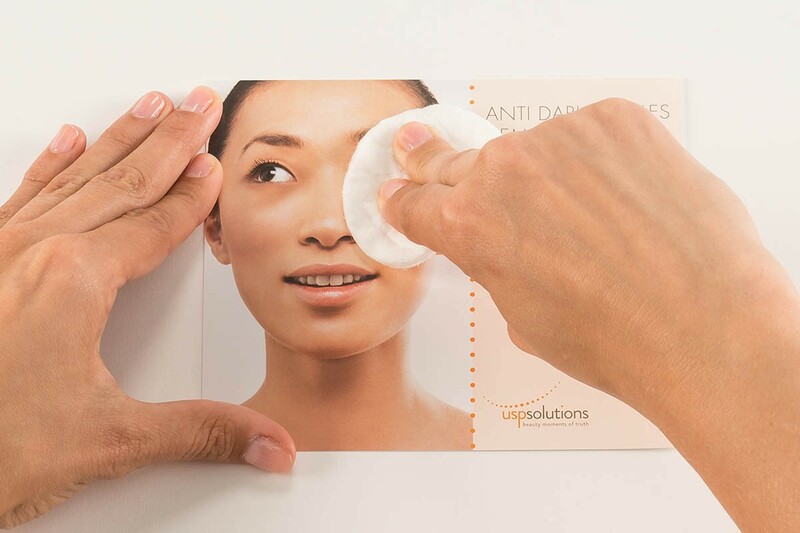 Customers often feel overwhelmed by the great variety of skin care and eye treatment products available. Uncertain about the product efficacy, they find it difficult to choose “the one”. How do they know if the product holds what it promises? The USP Solutions Eye Circle Technology enables your cosmetics brand to design an emotionally engaging and tailor-made “Beauty Moment of Truth”. 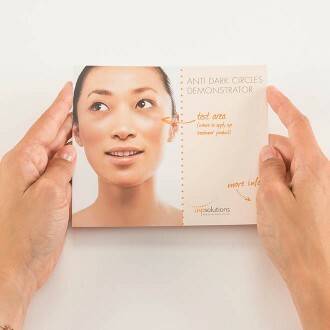 Place Anti-Dark Circle Demo Card in front of you. 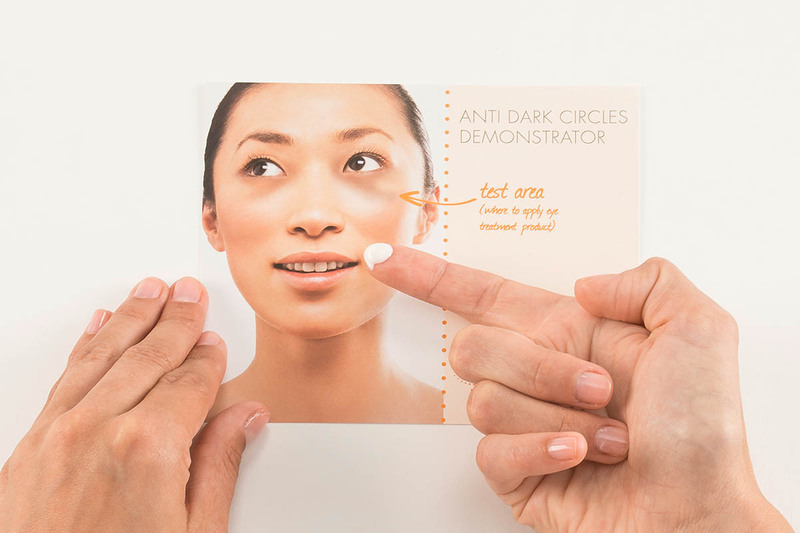 Apply dark eye circle correction product on test area (marked with arrow). 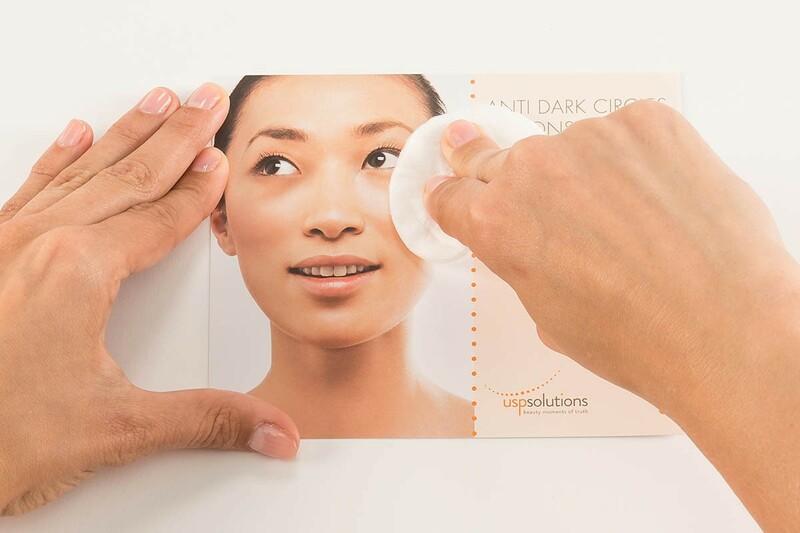 See how the treated eye area appears lighter. We can easily customize this technology in size, shape, material, printing effects and more – so the tool perfectly reflects the uniqueness of your brand.